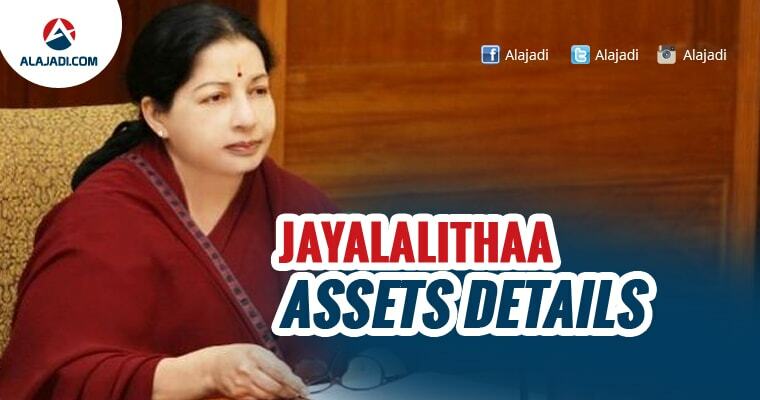 » Jayalalithaa’s Assets Worth Rs 113 Crore !! The death of India’s most popular politician, Jayalalithaa Jayaraman, on Monday brings the curtain down on an entire political era in Tamil Nadu, the state she ruled firmly for 15 years. With her demise, the legacy she built is hanging with a thin thread of uncertainty. 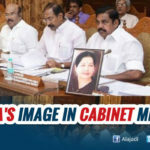 In April 2015, the supremo of All India Anna Dravida Munnetra Kazhagam (AIADMK) and Tamil Nadu Chief Minister J.Jayalalithaa declared assets worth Rs 113.73 crore. This was Rs 3.40 crore less than what she had declared the previous year. According to the affidavit filed by her to contest from Radhakrishnan Nagar Assembly constituency, the total value of her assets was Rs 113.73 crore. She had movable assets worth Rs 41.63 crore and immovable properties valued at Rs 72.09 crore. Jaya bought Poes Garden residence ‘Veda Vilas’ which was bought for Rs 1.37 lakh in 1967 is worth Rs 43.96 crore now. 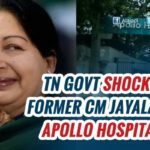 Her Close Aide Sasikala is likely to be the legal heir of this property. 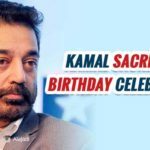 Post the demise of Jayalalithaa, Sasikala Natarajan took over the reins of AIADMK and O Panneerselvam got promoted as chief minister of Tamil Nadu. Now, Doubts were raised on the legal heir of properties owned by Amma. 14.5 acres of Agricultural land in Jeedimetla village in Ranga Reddy, Hyderabad. She purchased this property in 1968. 3.43 acres of Agricultural Land in Kanchipuram, Tamil Nadu. She bought it in 1981. Four Commercial Complexes. One of these properties is being offered to Sasikala’s nephew Sudhakaran. Cars: Two Tayota Prado SUVs, Tempo Travellor, Mahindra Jeep, Ambassador, Mahindra Bolero, Swaraj Max and Contenssa. The cost of these nine vehicles is up to Rs 42.45 lakhs. Jewellery: 21280.300 grams of gold jewellery. Currently, They are with Karnataka Government Treasury due to the illegal assets case pending in Supreme Court. She have 1,250 kg of silver and its worth Rs 3,12,50,000.